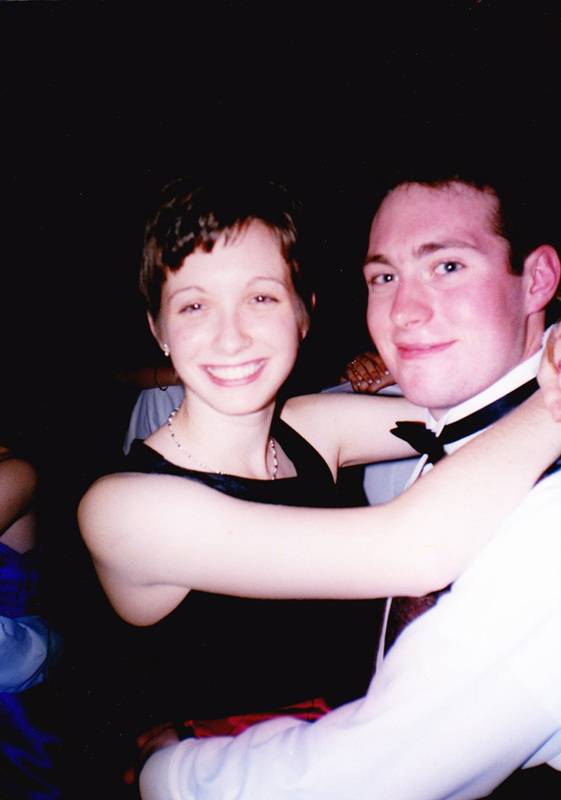 15 years ago today Matt and I went on our first date, one of my high school dances. Looking at this photo taken by one of my friends that night, it's hard to believe that we barely knew each other. We look so happy! And this, kids, is a lesson showing you that sometimes high school romances do become long and lasting relationships. It's working out pretty well for us so far! While I'm passing on wisdom, let this photo also be a warning not to over-pluck your eyebrows. I mean, I know it was the 90s, but look at those things!